Grace was the daughter of a Connacht chieftain. 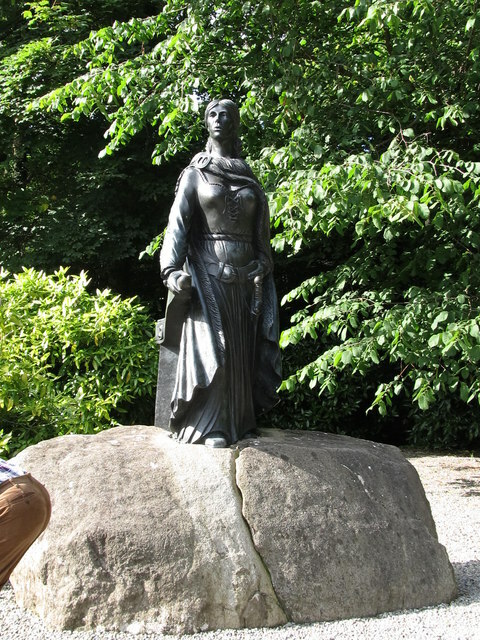 She provided the strongest opposition to foreign rule in the West of Ireland during the 16th century. When Queen Elizabeth the first launched a campaign in 1568 to finally subdue the rebellious West, most of the ruling class, including Graces husband, submitted. But Grace had other ideas! Traditionally the O’Malley clan were sea-farers and Grace ruled most of the sea around the Connacht coast and Galway. In 1579 a special body of English troops were sent to Galway to besiege her castle. However, Grace proved to be too strong and the English had to retreat. She harassed the English all of her life. After being taken prisoner several times, and almost being hanged in 1586, she gained the protection of the powerful O’Neill clan from Ulster. That helped though many of her ships were destroyed. It is said that she visited Queen Elizabeth the first in 1593 and was offered the title of Countess. Sadly, Grace died in poverty and she is buried on Clare Island. At Ireland and Scotland Luxury Tours we visit several of her homes on our route around Galway.